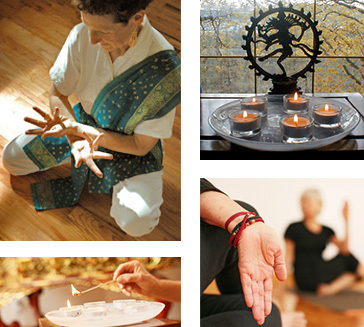 Established by Swami Sivananda Radha in 1989, Yasodhara Yoga Spokane (formerly Radha Yoga Center) encourages people to live an inspired life, full of meaning and potential. Come join us for classes that stretch your body, mind, and spirit and help you find practical solutions for the challenges of daily life. We offer classes in Spokane at our studio in Browne’s Addition, as well as other sites. Contact us if you would like classes at your workplace, healthcare facility or school. Yasodhara Yoga Spokane is the main arm for The Association for the Development of Human Potential (ADHP). A charitable and educational 501(c)(3) organization, the ADHP was founded in 1970 by Swami Radha to oversee her work in the United States. We welcome donations to support our efforts to bring yoga to those who can’t afford it. Donations provide free classes for those in need, scholarships for workshops in Spokane and at Yasodhara Ashram, and financial support for the publications of Timeless Books. Donations are tax-deductible in accordance with applicable law. People who take classes at Yasodhara Yoga Spokane can add an additional amount to check or credit card when registering for classes. Click here to donate by credit card to the ADHP. Call 509.838.3575 for further information. Additional financial and other information about the ADHP may be obtained from the office of the secretary of Washington state at 1-800-332-4483 and www.sos.wa.gov/charities.